Here’s another post from our visit to Cornwall. This time it is Cape Cornwall. There are only two places called Cape in the UK. The other is Cape Wrath in North West Scotland. Cape Cornwall is but a few miles from Lands End and we have to admit that Lands End is a few hundred yards further west. But Lands End has been turned into a bit of a theme park. I prefer the quiet, non-commercial Cape Cornwall although I have been to Lands End a couple of times. 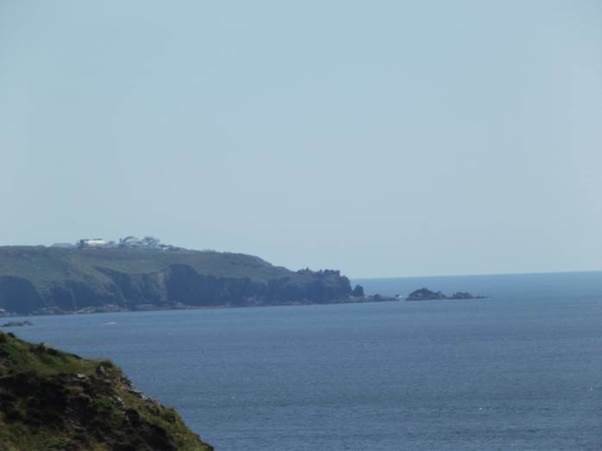 There is Lands End, as seen from Cape Cornwall. A pretty bay just north of the Cape. A nineteenth century mine chimney stands atop the cape. 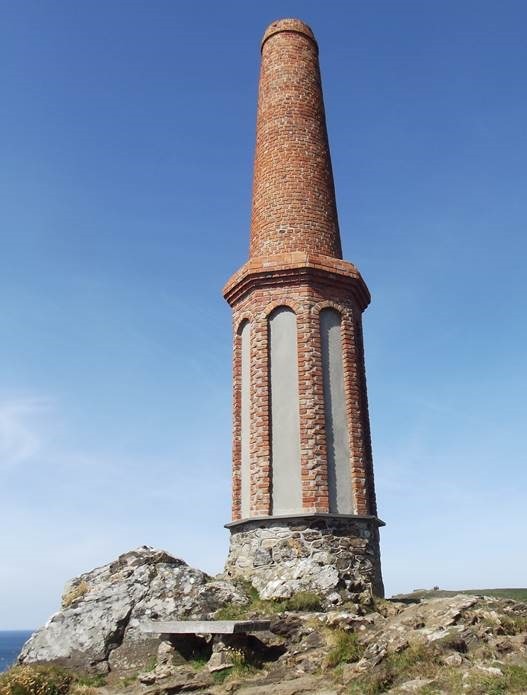 When the mine closed it was decided the chimney was a useful navigation aid for shipping and it was maintained. The area is now held by the National Trust. There are natural rock gardens on top of Cape Cornwall. 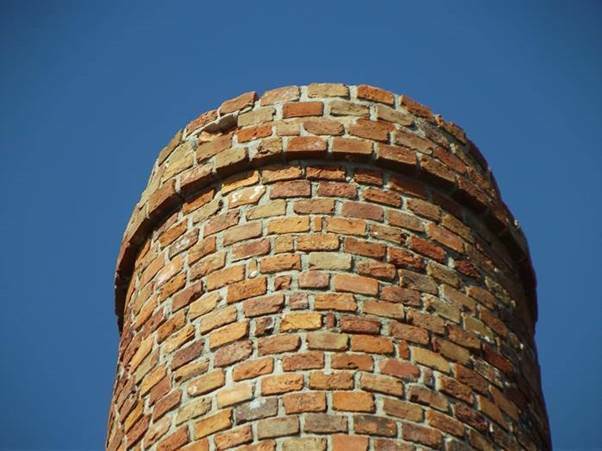 But I, lover of bricks that I am, thought the top of the chimney, with the wonderful blue sky, was just beautiful. 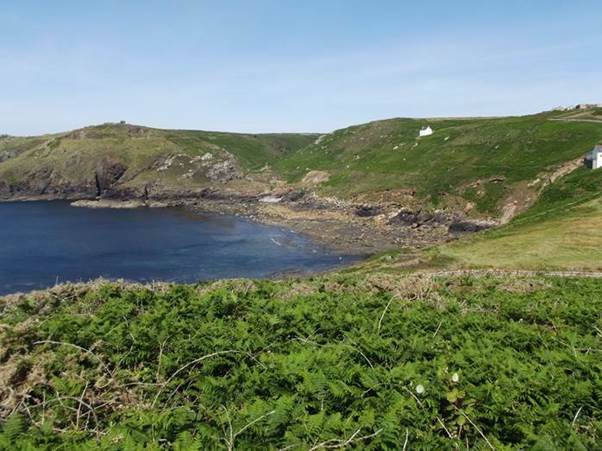 There is much to enjoy at Cape Cornwall and you won’t be too troubled by the madding crowd. And if you happen to be a member of the National Trust then you can park for free. Was ever an interest more suited to a nerd? Finding out about distant and long gone relatives makes no difference to present day life but many of us have spent hours doing just that. My original website had a section I called ‘Aunts’. This page ended up on that, although it dates from 2006. I can express a double interest here for not only are the people involved family relatives, I also love bricks, tiles and pottery. So here we go! Bricks were very much the lifeblood of the Foxton family who hailed from the Ripon area of Yorkshire in the 19th century. Glance at any of the censuses from 1841 through to 1901 and if you find a Foxton from the Ripon area there would be a very good chance that he’d be a bricklayer or a brick maker. Most probably, he’d have such an occupation even if he had travelled thousands of miles from his native Yorkshire. We find Foxtons in Canada who were making or laying bricks. We find Foxtons in the rival county of Lancashire who were laying bricks. And in many parts of Yorkshire, from Sheffield in the South right through to Teesside, we find Foxtons making or laying bricks. But the family base was Ripon, so it comes as no surprise that a brick making business was set up just a couple of miles from what was still a town of medium size. Clay was found at Littlethorpe, conveniently, just down the canal from Ripon. James Foxton founded the clay works in 1831. Initially the site was predominately concerned with the production of tiles and bricks for the Foxton’s family building business, with the pottery arm of the site producing brown earthenware. 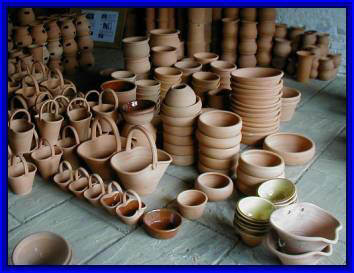 A paper, ‘The Origins and Survival of Littlethorpe Potteries in the Context of British Country Pottery-Making’ by Richard Carlton, University of Newcastle upon Tyne, UK, gives the following. There were no clay workings at Park Hill until James Foxton, a Ripon builder, built works on the present site in the 1820s (Lawrence 1974, 216) or early 1830s (Brears 1971a, 226). Although the works may originally have been set up primarily as a brick and tile works to supply the family building business, pottery was certainly being made by 1834 when the company was listed in Pigot’s directory as a maker of brown earthenware in addition to brick and tile. 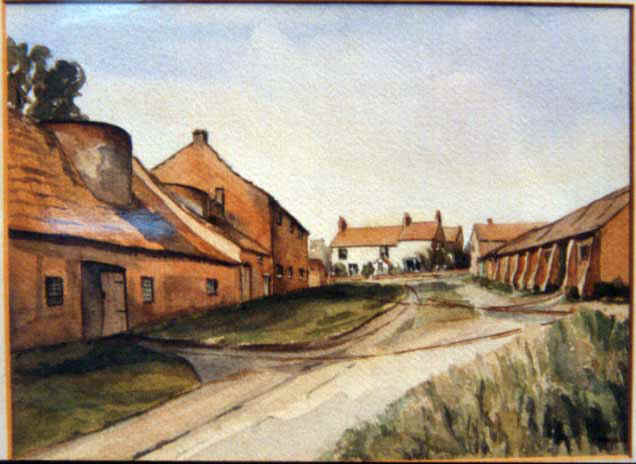 Park Hill is the area of Littlethorpe where the brickworks and pottery is sited. James had been born in 1767. There is no proof that his father was in the brick business, but his brother Michael certainly was and it seems that James, too, took up bricklaying. James married Elizabeth Saltmarsh in 1791 and for the next twenty years or so one assumes that all went well for the couple. Seven children arrived between 1791 and 1805 and all survived into adulthood. The family may well have owned property – an 1800 land survey of Ripon records land in the possession of three different James Foxtons. Of these three, I believe it likely that James of Littlethorpe had a cottage and two cattle gates plus seventeen perches of land with an average rent payable of ten shillings and five pence (52p). Things began to go wrong for the family in about 1815 for their children, having reached adulthood, started to die. Elizabeth, born in 1794 died in 1815. James, born in 1797 followed in 1816. Next it was the turn of Mary, born in 1799. She died in 1820. The eldest child, Isabella, born in 1791, married in 1816. By 1822 she had died and the following year her husband, William Cook died as well. Peter, born in 1803, died in 1823 just a couple of months after his sister Catharine who had been born in 1805 and was the youngest child. Catharine had married John Cook and had a son called Peter. He, too, died. The last surviving child, Thomas, had been born in 1801. He died soon after the brickworks started, in 1833. Thomas had survived long enough to marry and produce a number of children and some of these children were later important at Littlethorpe. But the sad story is that by 1833 all seven of James’s children had died. Perhaps this is why James, on the register of electors for the Pateley Bridge division in 1835 did not get round to voting in the election. So, at the time of the 1841 census we find James and Elizabeth at Park Hill Littlethorpe. James is described as a brick and tile maker. Other occupants of the house include a twenty year old (on the 1841 census this means aged between twenty and twenty four) Thomas Cook, a tile maker. Thomas was a grandson of James. By the time James himself died, in 1842, there was no immediate successor to take over the works. James was buried in what had now become Ripon Cathedral. The inscription on the grave certainly paints a picture of a saintly man. Sacred to the memory of James Foxton, late of Park- hill, Pottery, who departed this life the 19th of October, 1842, aged 75 years; also near this place 3 sons and 4 daughters are interred, who all arrived at maturity, and died happy in the Lord. A mansion pure, by charity possess’d. It is possible, that with the death of James, brick making ceased for a while at Littlethorpe or perhaps others ran it. Certainly in the 1851 census there are many brick makers, tile makers and pot makers living in Littlethorpe. But there are no actual Foxtons in the area, although Thomas Cook continued as a tile maker and thus maintained a family link. It looks as though a Robert Stokeld from Durham was the boss. He had been a worker at Littlethorpe in 1841 but was probably not the owner. On that 1851 census both James, born 1826 and Thomas, born 1829, grandchildren of James the founder, were working with wood elsewhere in Yorkshire. But by 1854 James was married and when his first child, Ann, was baptised his occupation was given as a brick and tile maker. This was also the occupation given in 1855 when his next child, James, was baptised. In 1850, with the economic boost received by the opening of the Leeds & Thirsk Railway in 1849 and the repeal of the brick tax, the Foxton family name was again associated with the site in the form of James and Thomas Foxton, grandsons of James Foxton, the site’s founder. By the time James Foxton died, aged 75, in October 1842, all of his five children had predeceased him. The lack of an immediate heir may explain the subsequent, temporary disappearance of the Foxton name in connection with clayworking at Littlethorpe – it seems likely that the works was leased, but it may even have closed for a time. The economic potential of the works would certainly have been boosted, however, by the opening of the Leeds & Thirsk Railway in 1849 and the repeal of the brick tax (2s 6d/100) in the following year (Snell n.d., 5). The railway immediately took over a large share of the business previously undertaken by the Ripon canal,6 since it could bring coal from the south Durham coalfields at a cheaper rate than barges could ship it from South Yorkshire. This may have been doubly advantageous to the pottery industry at Littlethorpe since, besides the reduced costs, the south Durham coal was low in sulphur, therefore more suitable for firing glazed wares. The increased profitability of the works may have prompted the return of the Foxton family to active management, for by 1857 the company was in the hands of James and Thomas Foxton (b.1826 & 1829), grandsons of the founder. Subsequent listings are mainly under the name of James Foxton until, Lawrence informs us, he left for Canada in 1904 and David Rhodes and Alfred Dougill took over the works (Lawrence 1974, 216).7 The association with the Foxton family may have ended before this, however, since Robinson’s Ripon directory lists the proprietor as Rhodes and Co. in 1902. This document certainly has errors. As we have seen, James and Elizabeth had seven children and not five. It also looks to me as though Thomas had more to do with Littlethorpe than James, since James spent nearly twenty years in Canada. The first edition of the Ordnance Survey map was produced in 1857 and this shows works on both the East and West side of the road known as Pottery Lane. The present pottery is on the East of the road and is still recognisable for some of the buildings still remain. Young James and family first went to Canada in about 1867. His children, born before then, were born in England but the last two, born in 1869 and 1872 were born in Ontario. James was brickmaking in 1871, according to the Canadian census, but working as a carpenter in 1881. 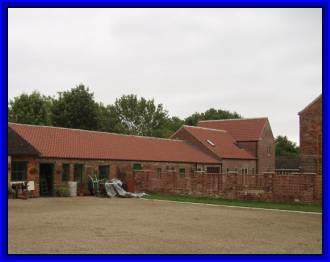 Perhaps this is the point to mention another brick and pot making enterprise with links to the Foxtons – the brick and pot works at Strensall, just North of York. Mary Foxton, a sister of James and Thomas who feature at Littlethorpe, married Benjamin Leek in the early 1840s. Benjamin was a pot maker who came from Knottingley but by 1861 we find him at Strensall employing a man and a boy in his pot making business. In 1901, a child of this marriage, Thomas Foxton Leek, was at Littlethorpe and the census lists him as an employer. Robert Leek, a brother of Thomas Foxton Leek remained at Strensall, certainly until 1891. Benjamin and Mary Leek both died in the 1860s. But back to Littlethorpe and, in particular, Thomas Foxton. Littlethorpe would seem to have been firmly in his control at the time of the 1861 census. Young Thomas would have been in his early thirties by then and was employing eighteen hands at the Littlethorpe concern and no doubt hoping to add more children to go with his daughter, Elizabeth Ann who was born in 1859. Sadly, perhaps, this was not to be and as Elizabeth didn’t marry until she was close on fifty, Thomas’s line died out. But the 1871 census provides us with a mystery in that Thomas was, apparently, the landlord at The Golden Lion Inn on Allhallowgate in Ripon. This inn, and the cottage next to it, had been Foxton territory for years and, indeed, the passage through the pub is still called Foxton Court. But in 1871 there appeared to be some kind of family get together, with a number of descendants of Thomas’s sister, Mary, visiting at the Inn and, in some cases, leaving quite young children back at the brickworks and pottery at Strensall. Back at Littlethorpe Pottery it would seem that Robert Bickerdike was the brick maker’s foreman. His daughter, Clara, was living at the pottery as a young lass. In 1890 she became Mrs James Foxton when she married the nephew of Thomas out in Canada. But it would seem that at the time of the 1871 census the Foxtons may have owned the pottery and brickworks but they were not actively engaged in the activities of the site. In 1881 Thomas was back at the helm and it would seem he was training other members of the family in the business for with Thomas were his second cousins once removed – yet another James Foxton and William D (for Dixon) Foxton. By 1891 James and William Foxton had their own brick making business at Church Fenton. James and William were still brick making at Church Fenton in 1901. 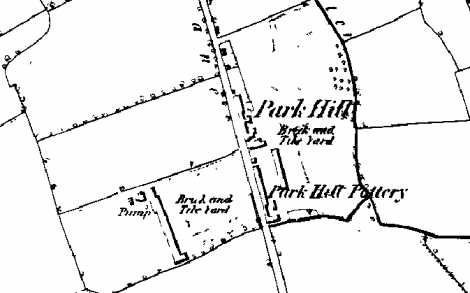 Thomas clearly decided he’d had enough of brick making, for in 1891 he was a farmer living at Park Green in Bishop Monkton – just about in sight of the pottery at Park Hill, Littlethorpe. James, his brother had returned from Canada and was living at Park Hill and would seem to be regarded as in charge of affairs. Sadly, James was a widower. Mary Ann, his wife, had died in Canada in 1886. It seems typical of the family that, as well as having his own family with him, there were also a couple of nephews who, one assumes, were learning the trade. In the 1901 census, James’s son, Dixon Foxton was also at the pottery, but there were five unoccupied houses between James and his son, so it may be that the pottery was in a period of decline. Thomas died in the Ripon area in 1897, but James was still at the Pottery in 1901 although he was now said to be ‘living on own means’. In other words, he had retired from active involvement in the business. It looks as though a grandson of James’s sister Mary was in charge as we have already seen. 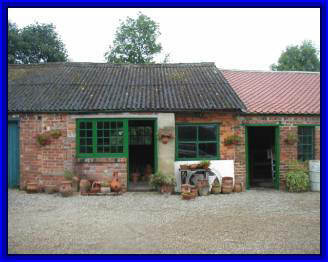 Thomas Foxton Leek was living at High Brickyard at Littlethorpe Pottery. The Foxton family connection with the Littlethorpe site ended in 1902 when David Rhodes andAlfred Dougill took over as proprietors with James Foxton leaving for Canada in 1904. Exactly why the Foxton family connection ended is unclear. The establishment around 1900 of a pottery and brickworks at Church Fenton, near Tadcaster, by three great-nephews of the original James Foxton, all time-served at Littlethorpe Potteries (pers. com. Mr Norman Foxton Scholes), provides food for speculation. It is also of interest to note that in or around the year 1895 a business known as the Littlethorpe Brick & Tile Co, was founded at Strensall, north-east of York (FRDC 1955, 58-9). The exact nature of the relationship between the Littlethorpe and Strensall sites is unknown, but it can be ventured that the latter may have opened as a subsidiary venture by the Foxton family (intriguingly, it is recorded that Elizabeth Ann, daughter of Thomas Foxton, was married around this time to Jim Green, a Strensall builder). Its part in the sale of the works at Littlethorpe is unknown, but production at Strensall continued until the second half of the twentieth century. It would seem that the link with Strensall was via Mary Foxton, the sister of Thomas and James and thus the granddaughter of James who founded Littlethorpe. She married Benjamin Leek who certainly worked and employed others at Strensall. The marriage between Elizabeth Ann Foxton and Jim Green is probably a side issue for this was another case of the old Foxton habit of marrying a relation – for Jim Green (who was a butcher) was the grandson of Mary Foxton and Benjamin Leek. 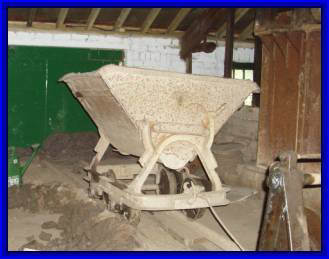 However, the Littlethorpe web site does record that the clay works was leased to Jim Green in 1910 for five years. The Richard Carlton paper also reports some dispute as to whether James emigrated to Canada. We have already seen that he had spent some 20 years in that country from about 1867 until after his wife died in 1886. But return he did – as quite an elderly man. He was in Ontario for the 1911 census and he died on 28th January 1916 – the reason given was old age. James was described on the death document as ‘A Gentleman’. And so ended, after some seventy years, the Foxton connection with Littlethorpe Pottery. 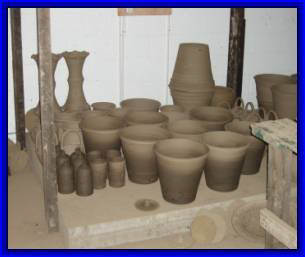 However, the pottery continues and still makes pots in much the same way as James would have made them in the 1830s although bricks and tiles are no longer made. The Pottery Lane sign on the road by the pottery. The clay truck and railway. 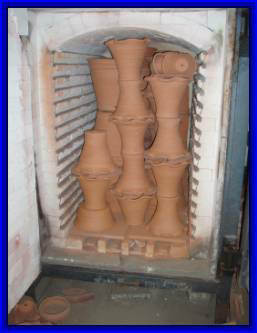 Pots awaiting firing and cooling in the kiln. Thomas Wilson, for his transcription of Ripon (Cathedral) memorial inscriptions, in 1847, and the team who have copied this material, re-transcribed it and posted it all on a website at http://riponmi.nwdb.co.uk/. This team retain the copyright of the material but allow non-commercial use subject to the following paragraph being included when such materials are used. Subject to this paragraph being retained unaltered, and being prominently displayed, with any extract or copy you make of this work: This work may be freely copied/distributed for private, non-commercial use only. It is copyright © of the various people who have contributed to its creation, and intended as a research tool, particularly for genealogical purposes. 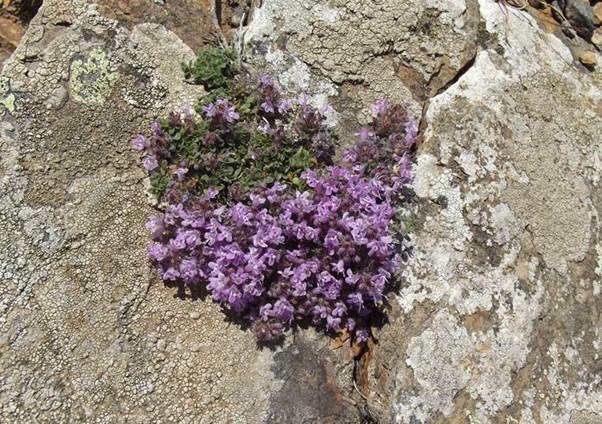 Find the ‘Original’ at http://riponmi.nwdb.co.uk/.